Five days of partying at the Hungarian Lake Balaton. Prepare yourself for the ultimate festival holiday with the biggest acts, more than 30 different venues, waterfront- and even floating bars. During daytime, the festival site is one big chill zone full of sunbathers, swimmers and floating airbeds. The first performances start in the afternoon, making sure the energy level of all Balatonsounders gets higher and higher. It’s really a day and night difference: the relaxed setting slowly changes into one big party venue. Nice temperatures, plenty of food stands, tasty drinks, pretty people and the biggest dj’s and hip hop artists worldwide. This year’s edition takes place from July 4 until July 8 in Zamárdi, Hungary. Balaton Sound Festival is held in Zamárdi, 5 kilometres south of Siofok, Hungary. Siofok is the biggest seaside resort at the shores of the Balaton Lake. The climate of Hungary can be described as typical European continental influenced climate with warm, dry summers and fairly cold winters. You can easily get from Budapest to Zamárdi and Siofok by train or bus. 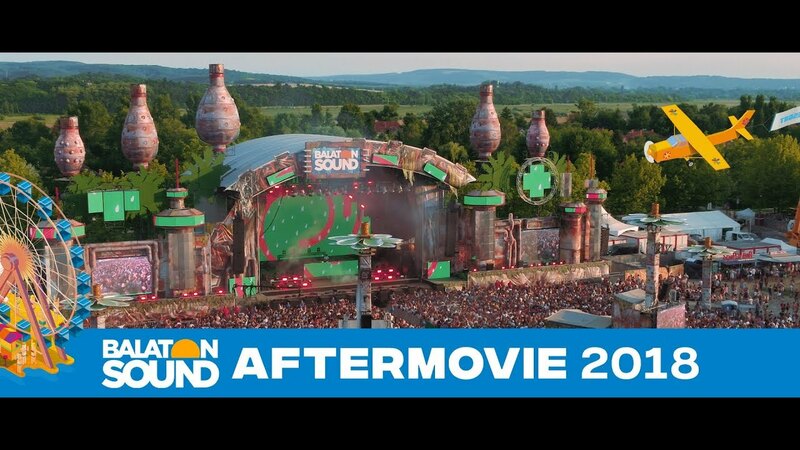 The Balaton Sound Express will go again in 2019! A train, filled with enthusiastic festival minded people, ready to have the time their life. On board we have a bar, DJs and entertainment. Tickets for the Balaton Sound Express can be found and bought below. You can find more information at the Balaton Sound Express page. The fastest way to travel to Balaton Sound is by taking a plane to Budapest (Hungary) and then taking a transfer to the festival site. In cooperation with Cheapflights we help you find the cheapest flights. The website compares every flight and will select the most favorable offer you can get. Hop on one of the Balaton Sound bus transfers at the airport in Boedapest and get off at the festival site in Zamárdi. More information can be found on the Balaton Sound bus transfer page. Preferring a bit more luxury and extra services than at the regular camping site? Especially for you at Balaton Sound: the Balaton Sound Beach Camping. Balaton Sound Glamping is the perfect spot for you if you want to stay at the festival site, have more luxury and sleep in cozy houses during the Festival. Planning to go to Balaton Sound with a caravan or camper? Get a ticket for the festival's own Caravan Camping. Place your vehicle and start enjoying Balaton Sound, while others still struggle with setting up their tents! When does Balaton Sound 2019 take place? Balaton Sound 2019 takes place from July 3 – July 7. A ticket allows you to enter the festival site from Thursday July 5th at 6 AM. The last acts will perform during the night of Sunday the 7th on Monday the 8th. Everyone is requested to leave the festival terrain on Monday morning at 8 AM. What is the minimum approved age of a Balaton Sound visitor? Balaton Sound does not know a minimum approved age, but children below 14 years old cannot enter the festival terrain without the guidance of an adult. Children below 11 years old are allowed to enter the festival for free. How can I pay at this year’s Balaton Sound? Panorama utca, 8621, Zamárdi, Hungary. What are the privileges of a VIP Festival Pass holder? With a VIP Festival Pass you have access to the festival site via the VIP entrance. No need to wait in a long line! Also you are allowed to watch the Main Stage artists from the VIP Grand Stand. Ticket for the VIP Camping is excluded. I have a regular Festival Pass, am I allowed to buy a VIP Camping ticket? Yes, the festival tickets have nothing to do with the camping tickets. So with a regular Festival Pass you can still buy a VIP Camping ticket. What does a Balaton Sound – VOLT Festival Combi Pass mean? With this Pass you don’t only have access to Balaton Sound, but also to the VOLT Festival which will be held from June 27 to July 1 in Sopron, Hungary.